Fleming Rutledge. Advent; the Once & Future Coming of Jesus Christ. Eerdmans, 2018. 406 pp. So writes Fleming Rutledge, the Episcopal priest, author, and theologian who penned Christianity Today’s 2017 Book of the Year, The Crucifixion; Understanding the Death of Jesus Christ. 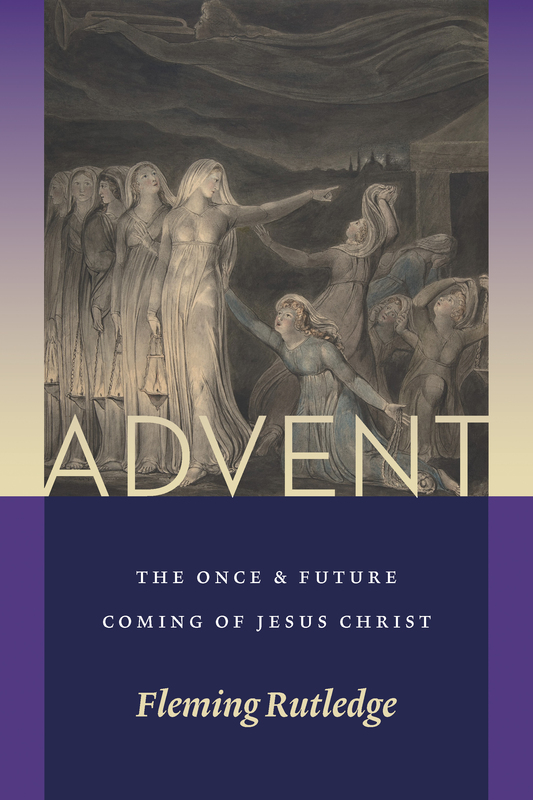 In her latest work, Advent; The Once & Future Coming of Jesus Christ, she compiles a brilliant and engaging collection of Advent sermons ranging from 1975-present. Rutledge begins with an introduction to Advent that every pastor will want to read as they begin to prepare to lead their own church through the beginning of the Christian year. The first part of the book contains a handful of Advent-related writings before moving on to “Pre-Advent” sermons on themes like the final judgment, the justice of God, and sermons for the Feast of Saint Michael and Christ the King. Ultimately it isn’t until page 251 that her formal Advent sermons begin. Her primary contention is that the church has too often used Advent to prepare for Christmas and all the ornamental sentimentalism (what she refers to as “Christmas creep”) that comes with it rather than to seriously prepare for the second coming of Jesus and His final judgment. “The eschatological note of Advent, focusing on the second coming of Christ-the principal subject of this book-has been largely ignored even among the most enthusiastic Advent-lovers of late” (pg. 4). I confess that as a pastor I have too often led our church through the season of Advent doing the very thing she cautions against; attempting to suspend belief that the incarnation has happened so that we can prepare for Christmas anew. It may be a surprise to readers that the original Advent themes were not hope, peace, joy, and love. Recently, in Florida, a disturbing and stomach-turning plot was uncovered at Bartow Middle School where two 11 and 12 year old students planned to hide in the bathroom, overpower smaller students, cut them up and eat them before turning a knife on themselves all in the service of Satan. That’s not quite as palatable to the contemporary church-going consumer. Which is why churches have forsaken these demanding themes that involve judgment and death in lieu of multiple “Christmas Eve” services that often begin two weeks before Christmas! But as Rutledge insists, Advent isn’t a time to prepare for Christmas, rather its purpose is to “take an unflinching inventory of darkness” (pg. 173). Rutledge accomplishes this by telling stories that highlight the darkness displayed in human depravity via the most recent headlines, which she is effortlessly able to source year after year. Against this “backdrop of darkness” the light of Christ and the good news of judgment gleam even brighter as she proclaims the hope of God’s judgment on evil and the good news of the finality of Christ’s reign in the second coming. I appreciate her repeated emphasis on the fact that there are not only two powers working in the world (humans and God), but three powers. Rutledge acknowledges her own tradition has largely made obsolete the embarrassing pre-enlightenment belief in a literal second coming and the “antiquated” notion of divine judgment. Rutledge is clearly not capitulating to mainline denomination norms as she proclaims the reality of an enemy force that is active not just in our world but in each of us. My only criticism of this collection is that it can be quite repetitive. She acknowledges that this is a possibility in the beginning of the book, but it does not relieve the redundancy of some of the sermons. In one way, this repetition can serve to reinforce the major themes of Advent as she sees them, but it can also become slightly monotonous as it can feel like you are reading the same sermon over again with slightly different illustrations. I suppose the luxury of preaching at a variety of churches is that you can repeat material, but in a collection of sermons published to be read it can be wearing. However, as the book ends readers are rewarded for persevering as the final three sermons may be the highlight of the entire book. What this all means for the church on mission is that as we live in between the ages or “on the frontier of the turn of the ages” (pg. 13), we are marked by fearless living, radical forgiveness and the weapon of nonviolence. We recognize and regularly remember that there is a hostile enemy force that is engaged in seeking to thwart God’s mission as we resist evil and give witness to the coming reign of God in our service, prayer, and counter-cultural lives together. But ultimately our hope lies not in our own personal or communal efforts, initiatives, and agendas but rather the God of Advent who drew near to us in Jesus and who will come again to take away the darkness forever and be our eternal light. Dustin grew up in a small farming community in Central Illinois, helped to plant a church in New York City after college, and has led a college ministry in Tampa, FL. He has a BA in Preaching and Bible from Lincoln Christian University (Lincoln, IL) and an M.Div from Western Seminary (Portland, OR). 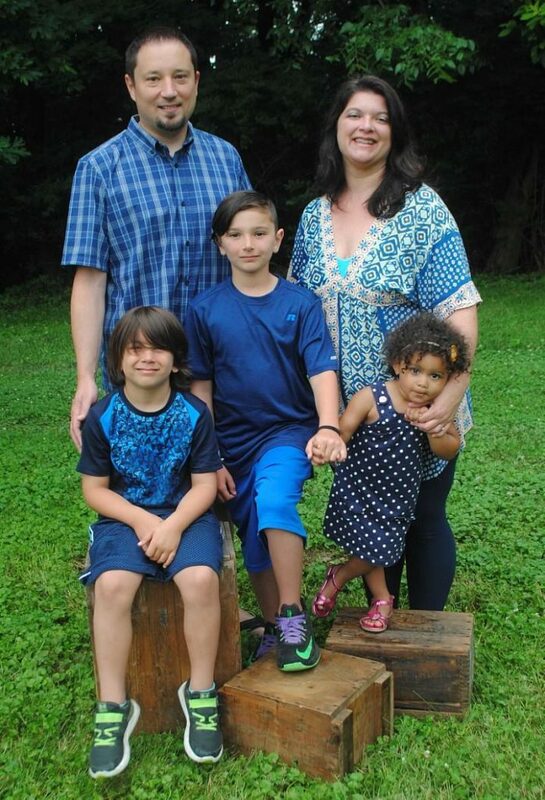 He loves his wife Kelli, two boys; Gram and Owen, and his little foster daughter. He’s a homebrewer, an avid reader, and an obsessed Cubs fan. You can check out his old blog he rarely updates here and his homebrew blog here.